The Ensemble Baroque de Monaco, faithful to the baroque history of the Principality, defends the most beautiful pages of music from the XVII-XVIII century repertoire, while striving to recreate forgotten or unknown works that are still to be discovered in the baroque repertoire. All the instrumentalists play on period instruments, tuned to historical tunings.Attached to its roots, the Ensemble lives however with its time and was placed in 2013 under the direction of Matthieu Peyrègne, singer and conductor specialist of ancient music. This formation wishes to honor the memory of Prince Antoine 1st of Monaco, who shared his passion for Baroque music with his friend king Louis the XIVth. Faithful to this history, the Ensemble Baroque de Monaco specializes in French and Italian Baroque music. For example, his recent performances of the Carissimi « Messe de l’homme armé » for 4 choirs which was wordlwidely in 2015, or his performances of the most beautiful pages of the lyric tragedy such as Rameau Indes Galantes or Lully Armida. 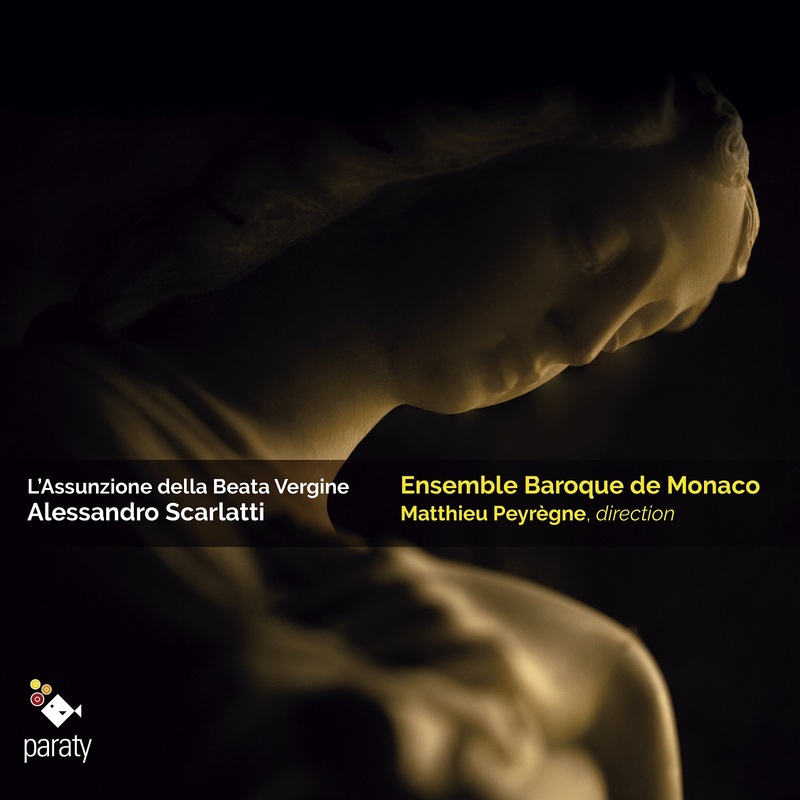 Or the recent world recreation of Alessandro Scarlatti’s Assunzione della Beata Vergine.Monaco, which hosted the greatest baroque composers of its time on this land, is part of a desire to be the ambassador, and the living memory of a historical and cultural period of incredible wealth to perpetuate. The Ensemble Baroque de Monaco has also pledged to perpetuate the memory of the musical publishing house of «L’Oiseau Lyre», which has not ceased during the last half-century, to resuscitate a number of chefs de vocal and instrumental works of the baroque period. Singer and conductor, Matthieu Peyrègne first trained as a violinist at the Nice music conservatory where he graduated with honors. He then deepened his musical knowledge by completing orchestra and choir conducting , and was finally graduated with honors.Having always been passionated about baroque music, he began studying singing with Monique Zanetti at the conservatory of Aix-en-Provence, for which he won a prize with honors, as well as at the conservatory of Nice in the Claire Brua’s class. He worked on renaissance and baroque polyphonic repertoires with Denis Raisin Dadre (Ensemble Doulce Mémoire) and Dominique Vellard (Ensemble Gilles Binchois) at the Basel Schola Cantorum (Switzerland) where he continued his apprenticeship with Richard Levitt, teacher of Andreas Scholl. He arrived semi-finalist of the International Sacred Song Contest of Rome in 2014. He sings with the most prestigious vocal ensembles such as Les Arts Florissants (William Christie), Les Talents Lyriques (Christophe Rousset), l’Ensemble Doulce Mémoire (Denis Raisin Dadre) with whom he recorded the CD dedicated to Claude Lejeune in 2017, l’Ensemble Correspondances (Sébastien Daucé), …As a conductor, Matthieu Peyrègne tackles all repertoires, starting from the baroque music of which he has made one of his specialties, to the contemporary music that he worked with Nicole Corti in the Britten choir (Lyon). He regularly conducts the Passion Classique orchestra and the Ensemble Baroque de Monaco, of which he was nominated at the helm in 2012. He was also selected in 2015 at the finals of the Jeunesses Musicales international conductor competition in Bucharest.He is also the artistic director of the Confé-Concerts (www.confeconcerts.com), an annual cycle of events taking place on the Côte d’Azur, having attracted more than 15,000 spectators since its creation in 2010 through more than 100 concerts!